As we all know, Metal Gear creator Hideo Kojima has parted ways with Konami, which means that we're unlikely to see another "true" Metal Gear title, despite plans by the publisher to continue the franchise without its founder. If such a realisation leaves you feeling a bit blue, then cast your eyes over the trailer for Shadow Moses, a fan-made remake of the first Metal Gear Solid title from 1998, named after the Alaskan nuclear weapon disposal facility which provides the backdrop for the game. 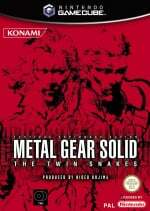 Built entirely in Unreal Engine 4 and produced without Konami's input or permission, the project is an attempt to bring the classic title - which was remade for the GameCube in 2004 as The Twin Snakes - bang up to date. 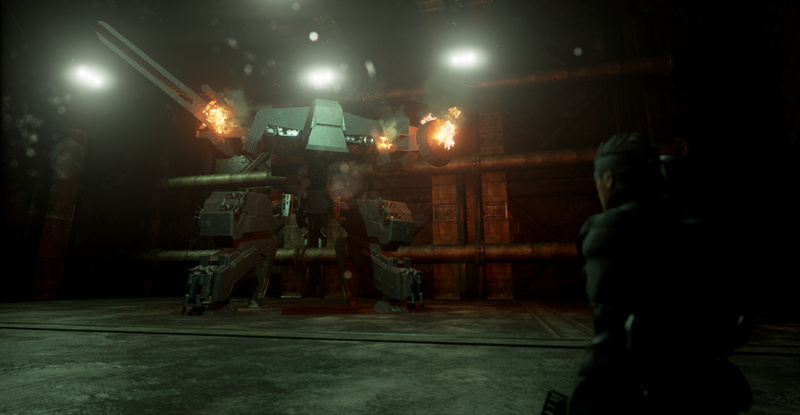 Several famous locations are shown in the footage, including the office where Solid Snake fights Psycho Mantis and the long, thin passageway where Sniper Wolf takes pot-shots at our hero. Snake is briefly shown as well, as is another pivotal character - the cybernetic ninja who stalks you through much of the game. Airam Hernandez is the person behind this magic, and he stresses that the video is very much a work in progress. How much progress he will be allowed to make remains to be seen; the project has been public since last year but Konami has so far passed no comment. We can't imagine that the publisher will allow such a game to see release, even if Hernandez isn't looking for financial reward for his efforts - but you never know. Perhaps it will let this one slide to atone for its mistreatment of Kojima? It remains my all time favorite of the series, the GameCube re-edition was a pleasant surprise. I try not to thing about Konami much these days... best kept my memories of the company in the past. Of course this one will never make it... officially, anyway. A shame because that is terrific effort right there. Keep your filthy un-Japanese hands off my Metal Gear, "Airam"
When you see someone with some competent level of skills and talent, it often raises the question: Why waste time on a fan project that will likely be shut down? But I think many folks (including myself) who might work on a fan project either secretly hope the IP holders turn a blind eye or somehow endorses the fan project and make it official (on some level). Most recent case I can remember is Capcom with Megaman Vs Street Fighter. Why do people showcase these that soon? Of course it'll get shut down. The creator should have waited until completion. That way, it would circulate on the Internet without being stopped! ... On second thought, it sounds really illegal..
@DTFaux Could be used to argue there's interest for such a remake or gain endorsement (e.g. Black Mesa), could be used as a portfolio piece (how many Quake and Quake 2 modders worked on Quake 3? ), etc. Not that wasteful. These people COULD try making their own game, but how many people would see it? How much motivation could they work up if they happen to not be very sure about their project? Nothing wrong with a fan project if its something they really love. Even if it gets shutdown, it might provide them with what they need to eke out their own original creation. But what you mentioned are good counterpoints. Though receiving endorsement, much less acknowledgement, rather than a C&C from a company is pretty rare... But portfolio pieces are at least practical and versatile. these fan projects are like covering other bands music. its is fun and people never tire of good songs, but at the end of the day you are not going to get anywhere being a cover band. my favourite game of all time. been thinking a lot about it lately again without even playing it, just listening to some mgs music; especially "the best is yet to come". @DTFaux The thing is, now the dev has exposure because everyone likes a thing he is working on. If he gets the cease and desist, he can open whatever other project he was working on the to eyes of his now attentive audience. Looks absolutely awesome but cant see Konami allowing this too see the light of day which is ashame. Incoming C&D! Shame, since he's definitely put a lot of work into this. Just have kojima say he's against it and I'm sure konami will allow it out of spite.